Ungooroo Aboriginal Corpoartion are very proud to announce the WUPA Aboriginal Arts and Cultural Festival for 2014 in the Hunter Valley. This year we have 25 local Aboriginal artists participating across 10 major venues including Crowne Plaza, Hunter Valley Resort and eight other major venues in the Pokolbin and Broke areas of the beautiful Hunter Valley Region of New South Wales. 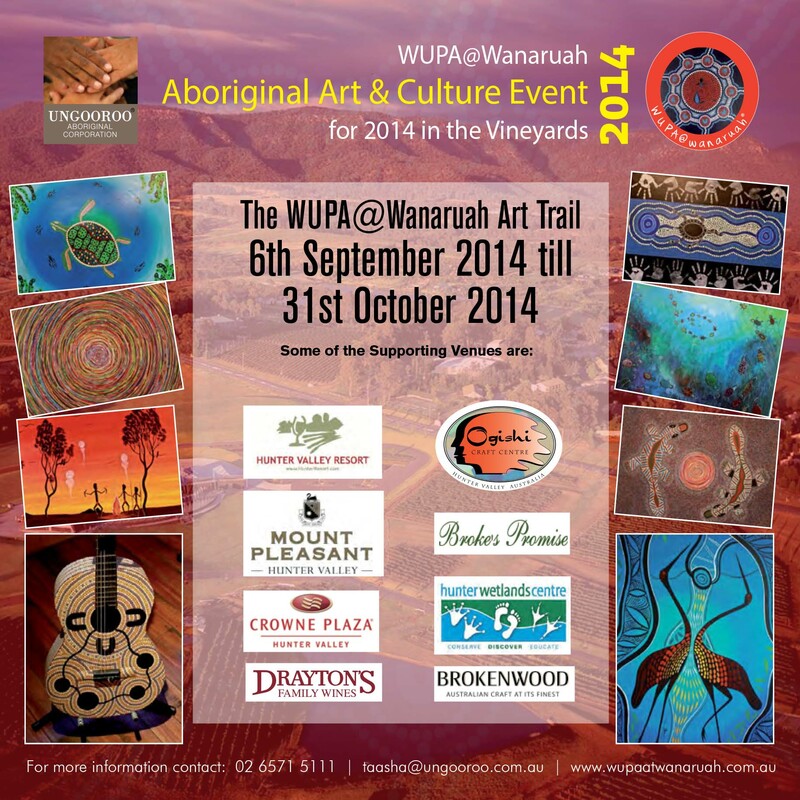 2014 marks the sixth event for WUPA@Wanaruah. Each year the initiative is facilitated by Ungooroo Aboriginal Corporation – an Aboriginal, not for profit community organisation operating to benefit local Aboriginal people of the Upper Hunter.